I did a quick search, but was hard to narrow down these questions...Thanks! I just put in '4bolt' as the search keyword and came up with 112 results, I find it very hard to believe you cant find your answer in any of those very informative posts. the 4-bolt lsd diff will have a sticker on it that says "lsd viscous" and some numbers. I didn't see it on mine until I pressure washed it, as they can get pretty crusty. I read somewhere that if it is LSD, there will be a warning label on it. I think there should also be a ratio # somewhere on the differential case. I'm not sure but I think it is supposed to say 3.55 if it is a 4 bolt. Might want to double check, thats from my memory which is weak. I intend to do a four bolt swap, but whilst I am at it I've decided to do some rebuilding. I see the driveshaftshop (.com) do high performance axles. Now if I buy two new axles and put a Kaaz LSD in my rear diff case, apart from the 4 bolt axle cups, is there going to be anything else I need? 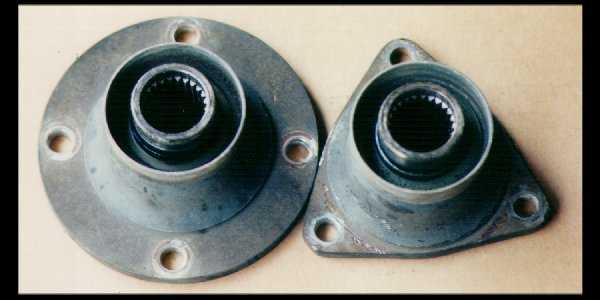 RRE mentions the need to buy two new joints in order to bolt up the Kaaz diff but I can't figure out where these go. 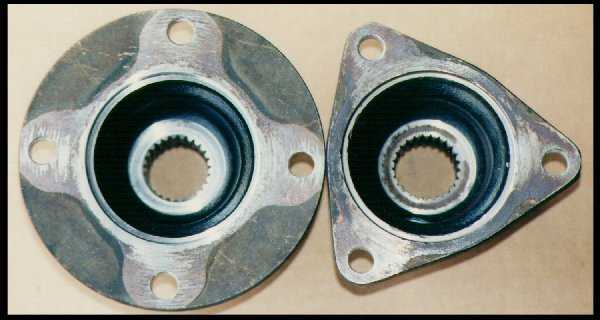 They are the inner pair of axle joints. You cannot use stock DSM ones with the Kaaz. Apart from the 4 bolt axle cups, is there anything else I would be missing? The drivetrain section has everything you need to know. Generated in 0.06 seconds in which 0.032 seconds were spent on a total of 14 queries. Turbo powered.